I just have to share my pink baby hoodie sweater that I crocheted for my grandaughter. I enjoyed working the pattern and was very happy with how the sweater turned out. 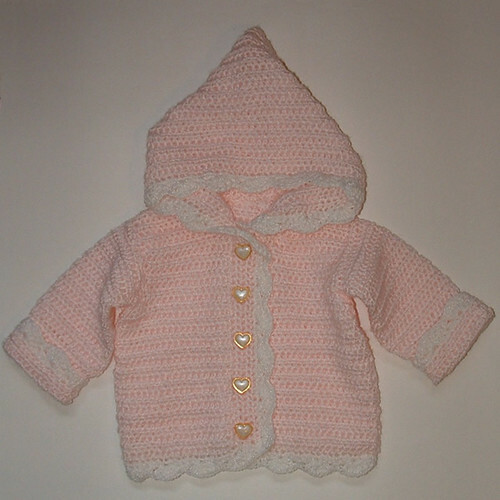 I used a free leaflet pattern from Bernat to crochet this cute little hoodie. The pattern is also available at Bernat online here. If you’d like to see the projects made with this pattern, there is a project page on Ravelry featuring this pattern here.